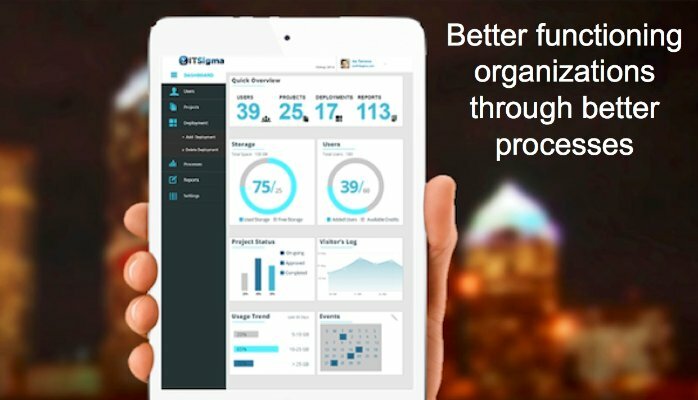 Etairos Consulting is pleased to announce the acquisition of IT Sigma Pro Corporation, a Lean Six Sigma business process re-engineering company! IT departments and the organizations they support realize that a majority percentage of any IT technology solution begins with business process analysis and optimization. Advanced IT organizations use Business Process Re-engineering (BPR) techniques to analyze and simplify business processes as a major portion of new IT technical solution implementations. This saves money, increases user efficiency, improves the client experience and ensures higher ecosystem uptime. IT Sigma Pro specializes in providing a proven solution and support services to implement Lean Six Sigma, a critical component of BPR and IT project implementation. As companies grow, they tend to accumulate a set of business processes that are not integrated, automated, streamlined or tailored for the introduction of new services and capabilities. This occurs in the vast majority of companies, and is often exacerbated by an organization with a high degree of mergers and acquisitions. As business process complexity grows, speed of business action, from product development, to sales quoting, to accounts receivable collection become sluggish and increasingly expensive to support. In fact, many corporations spend a large majority of their budget supporting an incredibly unwieldy set of business processes that clients and employees increasing detest. More expense for less happiness-not a winning equation for any business! IT Sigma Pro provides a business solution that helps a company navigate out of this frustrating morass and equally important, keep them from future business process deterioration. The Lean Six Sigma solution is the best foundation for building a strong, proactive, cost effective business process solution! Etairos Consulting is a privately funded global IT Consulting Firm, with operations in Northern California, Southern California, India and Texas. For more information on Etairos Consulting, visit http://www.etairos.com, or contact Raimonds Turaids at (650) 996-8491.